Lula Washington began her illustrious career in dance at age 22, entering UCLA’s dance program after discovering modern dance at Harbor Community College. She went on to found Lula Washington Dance Theatre with her husband, Erwin Washington. Today, the company’s influence reaches near and far, tours nationwide and internationally, while teaching inner-city Los Angeles students. Lula Washington Dance Theatre recently hosted the 30th Anniversary of the International Association of Blacks in Dance Conference and Festival in Los Angeles. Lula Washington is one of the “Founding Five” of the IABD organization and also serves on the organization’s board. The LWDT board has adopted a Succession Plan that names Lula and Erwin’s daughter, Tamica Washington-Miller, as the next generation leader of LWDT – with Lula and Erwin providing their support and guidance. Together, Lula and Erwin are dedicated to a dual focus of developing youth and supporting their community; while also practicing high quality dance with a socially conscious edge. 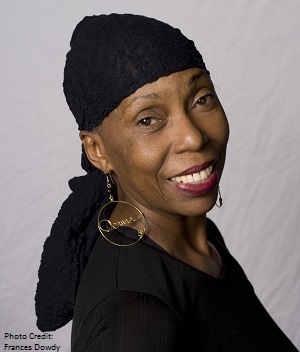 Lula Washington is the founder and artistic director of Lula Washington Dance Theatre and its main choreographer. Her voice and vision give the Company its unique style and focus. She has long tackled serous social issues in her work. Lula also established the dance company's inner city-based school in South Los Angeles. There, Lula grooms many of her own dancers, starting them at age 3. She established the organization's Youth Dance Ensemble which gives performance opportunities to gifted young inner city dancers. Lula choreographed movement for the films "Avatar" and "The Little Mermaid". She graduated from UCLA with a Masters degree in dance, after first being denied admission because of a late start in dance. Lula has won scores of awards and accolades including the first-ever Minerva Award, given by Maria Shriver at California's first Women's Conference. Oprah Winfrey and 12,000 women were on hand for the event. Lula has taken her company across the United States dozens of times, and to Russia, China, Brazil, Germany, Italy, Spain, Kosovo, Canada, and Mexico. 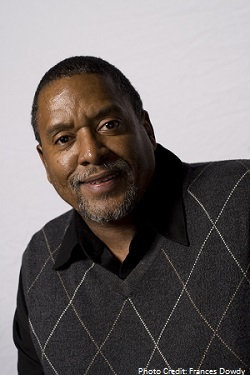 Erwin Washington is the co-founder and Executive Director of Lula Washington Dance Theatre. Erwin is married to Lula. Erwin encouraged Lula to pursue her passion in dance and then supported her in achieving her dream by raising the funds and handling the business aspects of her organization. When Lula chose to add guest choreography to her repertory from Donald McKayle, Donald Byrd, Rennie Harris, Anthony Burrell, and Kyle Abraham, among others, it was Erwin who handled the financial and business arrangements. Erwin also handled the contract with James Cameron which enabled the entire LWDT dance company to perform in Cameron's film, "AVATAR", as members of the Na’vi tribe. Erwin has won awards for his fiction writing, his plays, his work as a journalist, and also for work as a tv writer. Erwin has written on staff for Time Magazine, the LA Times, Daily News and numerous other publications. Six of his plays have been produced, and he has sold half a dozen television scripts -- several of which have aired on network television. Erwin has raised millions in grants for LWDT and he engineered the purchases of LWDT's original and current dance studio properties. Erwin is a graduate of UCLA with a bachelor's degree in Creative Writing and a Master of Fine Arts degree in Screenwriting. He is also a graduate of Stanford University's Executive Certificate Program in Non-Profit Leadership. He has served on the board of the Western Arts Alliance and the Dance Resource Center. The Champion Award is given to any organization, business, foundation, or individual in the Annual Conference host city whose achievements, leadership, and support have sustained and/or significantly advanced dance in their home community. Return to Dance/USA Opening Night Celebration & Honors webpage.